Let Agility help you understand your child’s physical therapy needs! At Agility Spine & Sports Physical Therapy we work to understand all individuals who come through our clinic. We are a family oriented clinic with an emphasis on bettering the lives and mobility of our patients. Our pediatric physical therapy goals include a passionate approach to helping our child patients attain their full potential while they work with our qualified therapist. Agility distinguishes itself from other clinics by taking a proactive team approach that aims to deliver the best results possible for your child and family. We work diligently in helping children with orthopedic disabilities as well. Our physical therapist work to help our patients grow and sustain strength in their areas of need. Many families do not understand the impact physical therapy can have on the health of a child who has suffered an injury through sports, accident or simply victim symptoms from a debilitating disease. Our goal is to identify the solution and work to deliver above average results. Physical therapy is effective with children by implementing techniques that deal specifically with problems such as balance and coordination, flexibility and mobility, as well as educating your child on ways to avoid having continuous injuries as they continue their sports journey. Our services include a thorough evaluation, individual treatment, consultation, parent training and patient mentoring. Our pediatric physical therapy program focuses on your child as an individual, your child will work to discover their extraordinary possibilities. Our hands on approach has served as the ideal beacon for patients to gradually obtain the life they once lived, as well as acquiring the knowledge for future references. 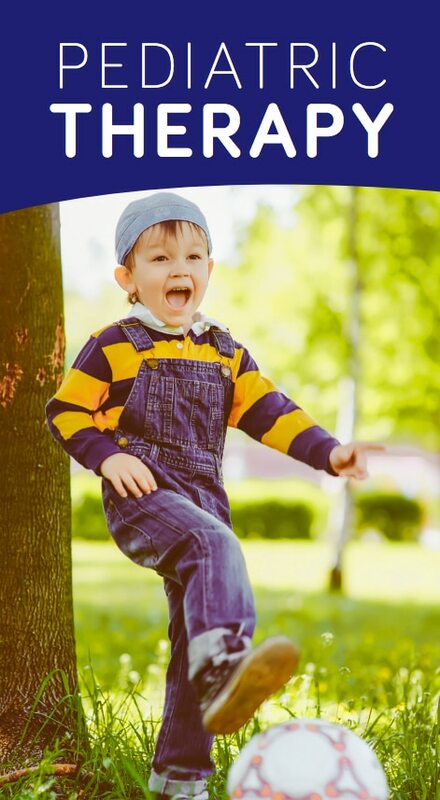 If your child has suffered an injury and/or needs some expert advice on treating symptoms through our pediatric physical therapy techniques, contact us today and set your consultation to begin on your new journey with Agility Spine & Sports Physical Therapy.